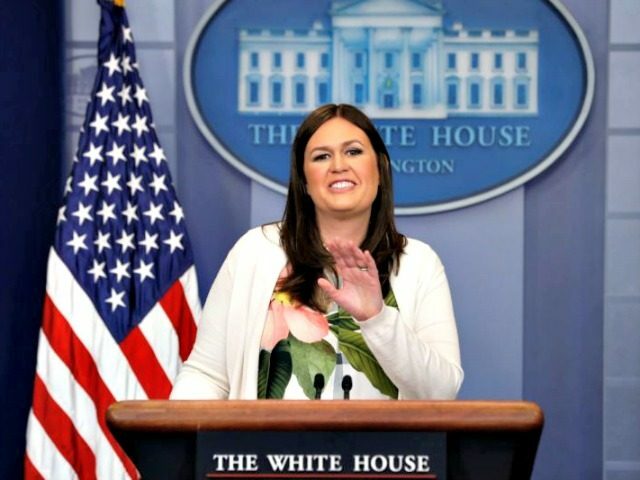 WASHINGTON, D.C. — Newly appointed White House Press Secretary Sarah Huckabee Sanders reflected on her new position and had a message for every “kid in America” during Wednesday’s on-camera press briefing. “To the best of my knowledge, I’m the first mom to hold the job of the White House Press Secretary,” Sanders said. “That says less about me than it does about this President. It’s not just with personnel, it’s about people and it’s about policy. Empowering working moms is at the heart of the President’s agenda, particularly when it comes to things like tax reform. I have three children, and the oldest, Scarlett, starts kindergarten in a few weeks. Scarlett and every little girl in America should grow up in a country that if we deliver on the President’s agenda of better jobs, better healthcare, and a better tax system, that incentivizes women to work and raise children. As a working mom, it’s not lost on me what a great honor and what a privilege it is to stand here at the podium, and I thank the President for the opportunity. I’ll always do my absolute best to truthfully answer your questions and to deliver the President’s message.